When you are designing a space, indoors or out, the ability to visualize how a product will look in a setting is critical. 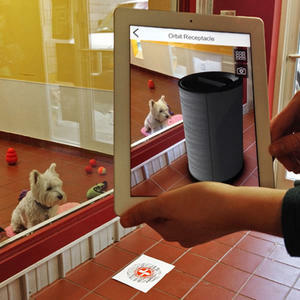 To help you with this effort, we’re excited to introduce our new Augmented Reality App, which not only lets you easily see full-scale, 3D images of some of our most popular products wherever you want them, but also allows you to share those images with your clients. 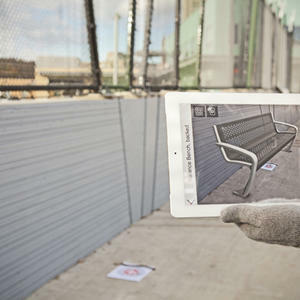 Whether you’d like to see how a bench will look in a park or how an interior wall will look in Bonded Metal, our new Augmented Reality App makes it a snap. 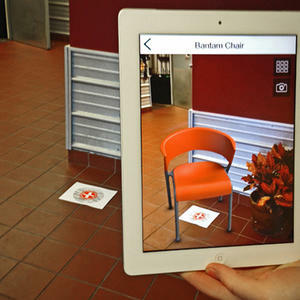 Download our free app from the Augmented Reality page of our website. While there, you can also download and print our Tracking Marker, a PDF that you simply place anywhere you would like the product to appear. The app is currently available for iOS devices and will be available for Android devices in early December. Once you’ve installed the app, you’ll be able to choose from Site Furniture or Surfaces, browse through options within each category, then select a specific product. Place your Tracking Marker wherever you’d like to see the product: on the floor, on a wall, or outside. 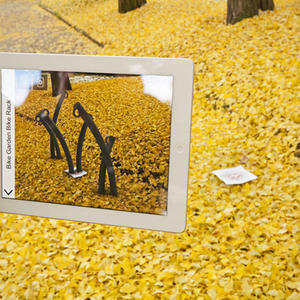 Aim the camera of your smart phone or tablet at the marker and hit the “Visualize” button. Voilà! 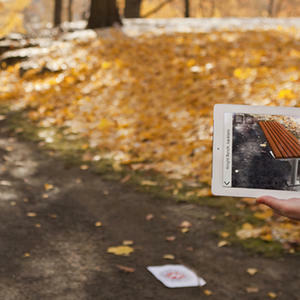 The 3D product appears on your screen. Be sure to step back far enough from the marker to get the proper perspective of a full-sized product. Remember, some of our benches are 6-feet long! And our Surfaces will appear as 1x2 meter panels. Once you can visualize the product in its entirety, feel free to move around it to view from different angles. Want to share this image? The camera button on your device allows you to photograph what you are visualizing, so you can show it to colleagues or clients. You can be among the first to give it a try. 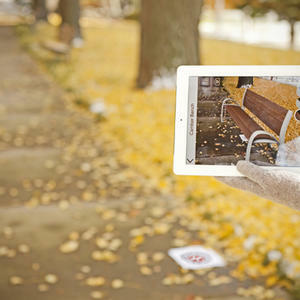 Visit us at our booth #1425 at the ASLA 2013 Annual Meeting & Expo this weekend and see for yourself how Augmented Reality lets you see for yourself.